Accountancy is changing, and the change is rapid. Evans & Partners, established in 1943, one of the oldest, family-run accountancy firms in Bristol, are proud of their long history. But this doesn’t mean that they have let the grass grow under their feet. Far from it. This is a firm always embracing change and keen to be ahead of the curve. All in the interest of helping businesses across Bristol, Bath and beyond grow and thrive. 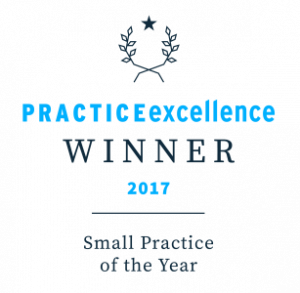 In 2017 Evans & Partners won Small Practice of the Year in the Practice Excellence Awards. 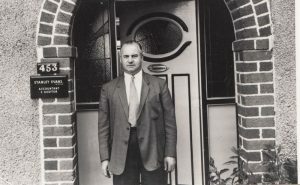 Stanley Evans started his accountancy practice from the front room of 453 Whitehall Rd in 1943 to help local businesses organise their finances. Once the 2nd World War ended he started work with I Bonner & Co, a small Bristol Chartered Accountancy firm where he built on his knowledge, continuing to build his own practice in his spare time. Over the next 10 years he built up the business, working full time from his home and expanding into the house next door. He employed some local ladies as part-time bookkeepers and in 1965 employed Graham Rowles, a chartered accountant who later became a partner in the firm. Martin Evans, Stanley’s son, joined the firm in 1969 after qualifying with Thomson McLintock (now KPMG). From this point on, Evans & Partners expanded rapidly with many long-serving staff joining in the 1970s. In 1972 Colin Toomer, a nephew of Stanley, and a qualified Chartered Accountant joined as partner but within a few months was tragically killed in a car accident. In 1979 the firm purchased its present premises at ‘The Old Manse’, 9 Bank Road, Kingswood and expanded with an office in North Street, Bedminster and Victoria Street in the city centre in 1986. Olly Evans, Stanley’s grandson, joined Evans & Partners in 1990 as an articled clerk. He qualified as a Chartered Accountant and then left to gain ‘Big 6’ experience with KPMG, Ernst & Young and Cap Gemini, becoming a Management Consultant. Having travelled the country with the big accountancy firms, when Martin announced his retirement, Olly returned to the fold in 2010 and took over from his father. Evans & Partners have always been proud to be active members of the local community and been pleased to assist many local charities and organisations. Graham, one of the partners, was one of the leading lights in Kings Barton Housing Association which now has 8 properties locally providing accommodation for the elderly. Martin and his son Olly are directors of the New Work Trust Company, a local enterprise initiative formed in the early 1980s to provide practical start-up help to local businesses. The workshops in Station Road, Kingswood provide over 70 flexible working spaces for both local and national businesses. The firm has always prided itself on being ahead of the curve, interested in the way that technology can save time and improve results for businesses. Martin Evans bought the firm’s first 128k apple computer in 1982 at an eye watering cost of £6881. Account preparation computers and software were in use from 1985 in the firm. Olly Evans, has continued this tradition and was one of the first UK accounting firms to recognise the benefits of cloud computing, partnering with Xero in 2010. Over the last 8 years, Olly has been instrumental in taking the business into the digital age, becoming the first Xero Platinum Partner in the south-west. 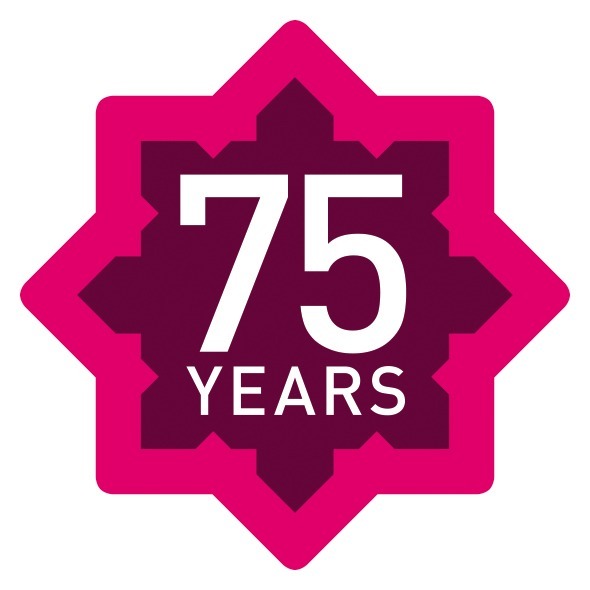 To help celebrate their 75 year anniversary, Evans & Partners are sponsoring a Gromit sculpture on the Gromit Unleashed 2 Bristol trail. 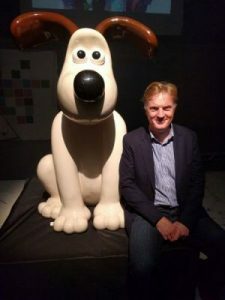 Bringing one of the famed Aardman characters to Kingswood, East Bristol for the first time, the team are very excited to be helping to raise money for Bristol Children’s Hospital. The trail runs from 2 July – 2 September, 2018. We offer more than just tax advice. Get in touch to see how we can help your business flourish.